Once again the strong figures supporting EIS and SEIS venture capital investments continue to reaffirm the importance of these schemes and the key role they play in growth company funding, enabling companies to grow and succeed whilst investors are rewarded through generous tax breaks. It’s interesting that the latest figures issued by HMRC include data on Advanced Assurance requests received for the first time. On a positive note whilst we have seen an increase in applications over the last 3-4 years the number of requests accepted has dropped off from 2014/15 to 2015/16. HRMC clearly see the Advanced Assurance process as an effective means to apply pressure on product providers in their EIS structuring perhaps signalling a move away from provider operated schemes says Dermot Campbell, CEO of Kuber Ventures. 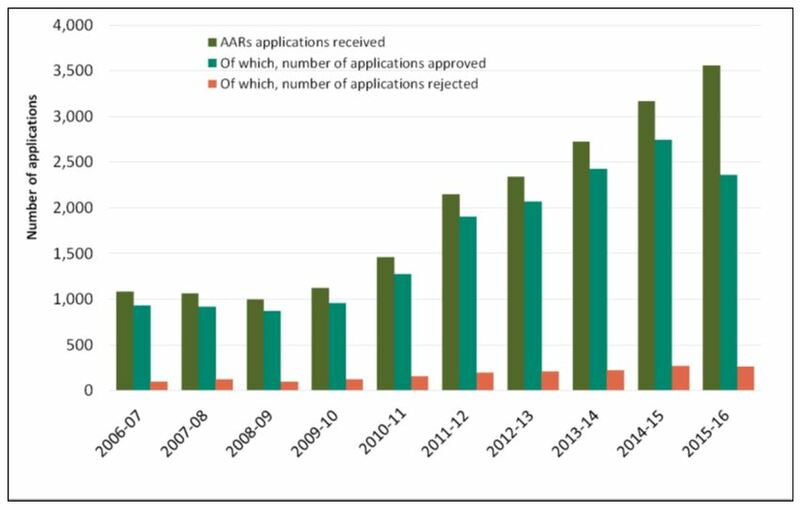 Graph below – Number of EIS Advance Assurance applications received, approved and rejected, from 2006-07 to 2015-16 (provisional), Source EIS/SEIS (AA). Latest statistics on Companies raising funds in UK Enterprise Investment Scheme (EIS) and Seed Enterprise Investment Scheme (SEIS)April 2016 available here. Kuber Ventures IHT Seminar hits the spot.